The project consists of the installation of a pump working in reverse as turbine (PAT), which will replace a 6 kVA diesel generator and feeds a filter system and the electric fertiliser within the farm. The infrastructure is composed of a pressurised branched network with pipe diameters between 300 and 1200 mm, involving different materials, such as GRP and steel. The network is fed by two sets of water reservoirs and two retention pools. The plant consists of the installation of a pump working in reverse as turbine (PAT), which will replace a 6 kVA diesel generator and feeds a filter system and the electric fertiliser within the farm. The installation will be composed by a by-pass, where the turbine will be installed, two manual valves, one in line and another in a by-pass to ensure the suitable operation of the network, and an existing pressure reducing valve located at downstream of the system. This installation has two main advantages: (i) It can use the excess pressure existing in that system point to recover energy and transform it into clean electricity to be used by the farmer; and (ii) It will avoid the air pollution emissions of the diesel generator, reducing the impact of the agricultural activity in the environmental damage and climate change. The company Tecnoturbines has been awarded a tender by the Asturian Energy Foundation (FAEN) for the installation of the mini-hydraulic power plant pilot plant for the Redawn project. The design of the plant includes the installation of rechargeable batteries so that the supply of electricity can be assured at all times, although its main purpose is to supply energy during the irrigation period. 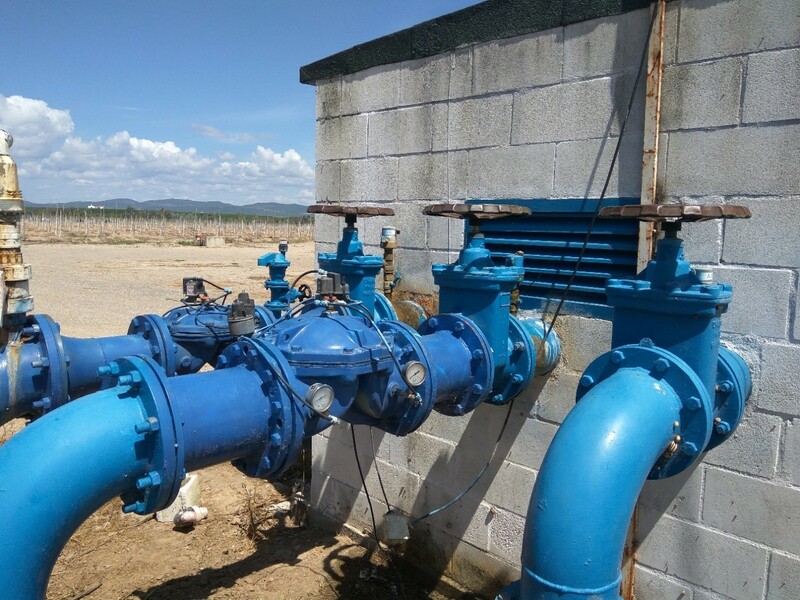 In addition to running the plant, Tecnoturbines will also be in charge of monitoring it, given that the purpose of this plant, beyond its immediate purpose, is to serve as a pilot validation of this technology for use in irrigation facilities. Founded in 2012, Tecnoturbines is presented as "a hydraulic turbine development company that is present throughout the life cycle of the project" and whose mission is "to promote progress by reducing energy costs and supplying electricity in remote locations in the industry sectors related to water ". The company will now have the opportunity to work on a project not related to the industry, but with irrigation, oriented yes to the saving of energy costs. The hydraulic micro-turbine will start operating this April. This installation will allow the evaluation of the economic, social and environmental impact of the recovery of hydroelectric energy in irrigation networks, one of the essential objectives set out in the REDAWN Project. Throughout the month of March, the winning company, Tecnoturbines, is working on the construction of the plant to be active at the beginning of April, in the absence of the monitoring system that will be installed later. This is is the only irrigation-oriented REDAWN demonstration project, which includes two other hydroelectric facilities that will also serve as a pilot experience in the field of industry and supply. The pilot plant for the paper industry will be located in Portugal, while the drinking water supply plant will be located in France. To receive updates on the REDAWN demonstration sites, sign up to our newsletter at http://bit.ly/REDAWNlist.